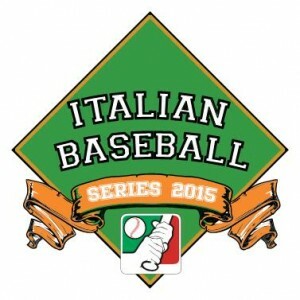 The Italian Baseball Series between Unipol Bologna and ASD Rimini starts on Thursday evening at 9pm at Gianni Falchi Stadium in Bologna. The best of seven series will be played through Sunday, September 13. Games one, two, six and seven will played in Bologna, games three to five in Rimini. Game one will be broadcasted live at RAI Sport 2. It’s a rematch of last year’s Italian Series. Bologna dominated the season series so far, winning three of four games against Rimini in the regular season and five of six during the semi-final round robin. However the most recent three-game set, which ended with a sweep for Bologna was completely meaningless for the standings. Bologna is expected to go with Marquis Fleming, Raul Rivero and Riccardo De Santis as starting pitchers. Rivero has been stellar in six starts in the playoffs, striking out 45 in 39 1 /3 innings, while walking only five and pitching to an ERA of 1.14. Rimini counters most likely with Alexis Candelario, Carlos Richetti and Peter Parise. However Jose Escalona and Roberto Corradini could be the wild cards in the mix. On offense Giuseppe Mazzanti saw a surge during the playoffs, batting .367 with four home runs and 15 RBI in 18 games. Ray Olmedo, Leonardo Zileri and Alexander Romero are other key bats in the order. Cesar Suarez led Bologna’s offense during the postseason so far, going .333 with four home runs and 18 RBI. While Fortitudo is only batting .257 as a team, they possess an on-base percentage of .364. It’s going to be an interesting matchup between two Italian power houses. Bologna is hoping to defend its title, while Rimini is looking to beat their curse of the Italian Series. The Pirates have reached the final of the Italian Baseball League for the fourth time in four consecutive years. They last won the scudetto in 2006, when they defeated Grosseto 4-1 in the Italian Series.